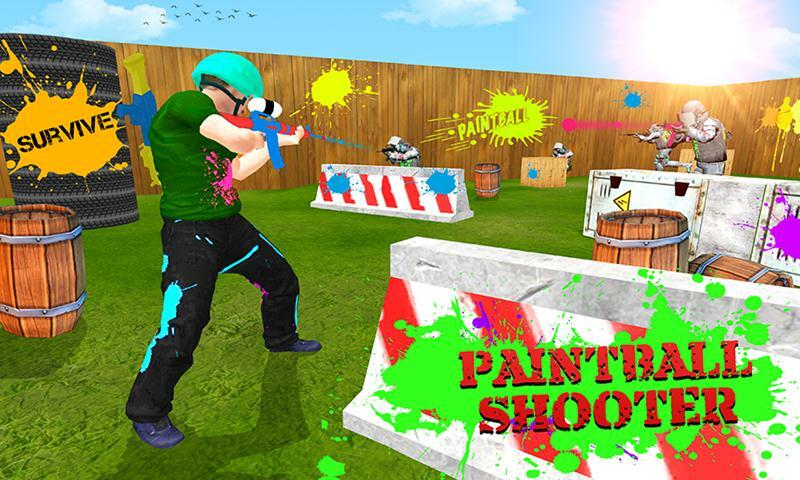 Get ready to play Paintball Shooting Combat Arena game, unlike the other arena games different challenging missions with special paint guns are used to play with. Beautiful atmosphere with 3D graphics made this game addictive and a place of battle. 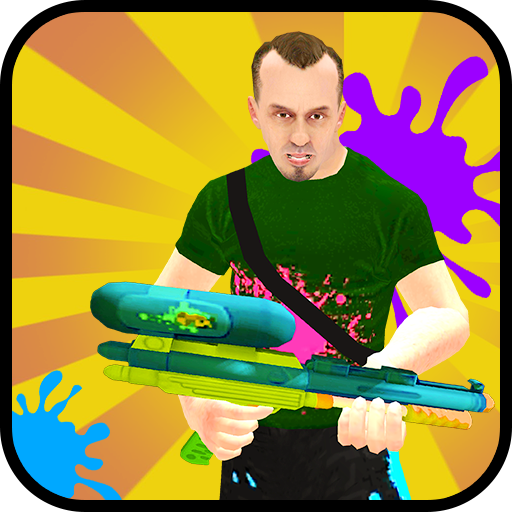 Epic guns with different paint fires capabilities and paint bomb are used to blocky your opponents. It is specially design for 3rd person paint balls shooters lovers the different camera angles and deep combat arena made this game very special. 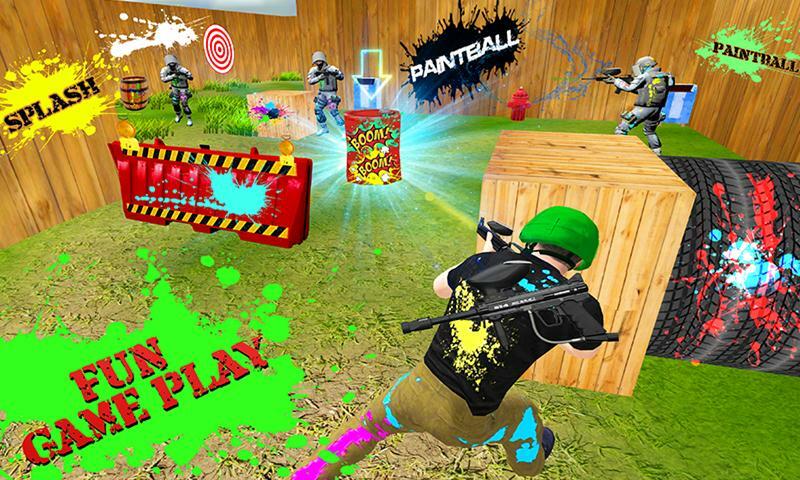 Paintball Shooting Combat Arena is a sports game where paint balls fires or paint ball bomb did not hurt anyone. Amazing challenging missions are available with different safety walls like barrels, tires, and doors etc. 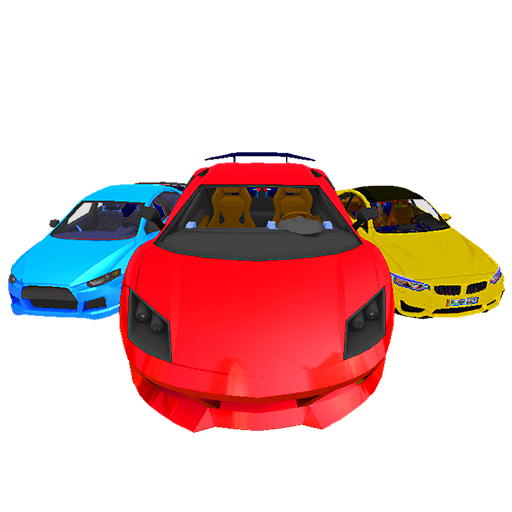 You have to become less blocky than the others, safe yourself from the paint ball fires and paint ball bomb otherwise you will lose the game. 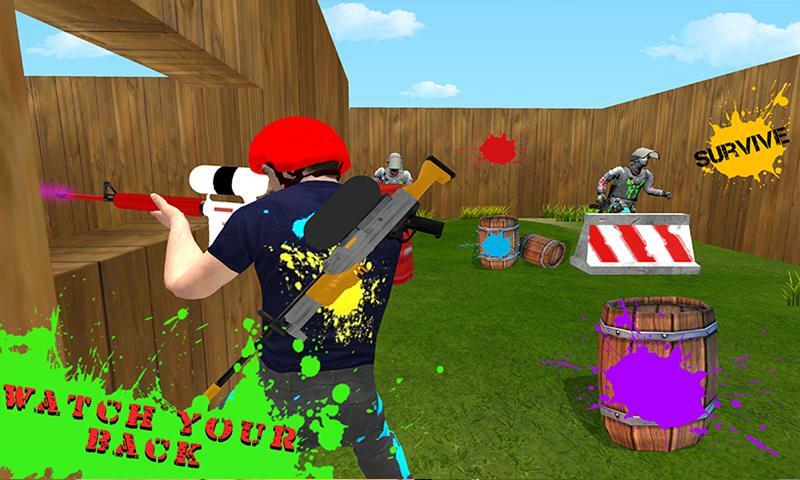 In Paintball Shooting Combat Arena game you can play as a three different players like Logon, Paul, and Jake with different heavy safe jackets, beware from paint ball fires and paint bombs in this shooting simulator. Hide yourself behind the walls, drums, and containers etc. be the best paint ball shooter and show your shooting skills. Different paint ball shooter are waiting for you to shoot you with the paint ball guns or with the paint blast. In some missions you have to go and find the people that are hiding their self behind the walls, teach them lesson made them blocky with your paint fire guns. 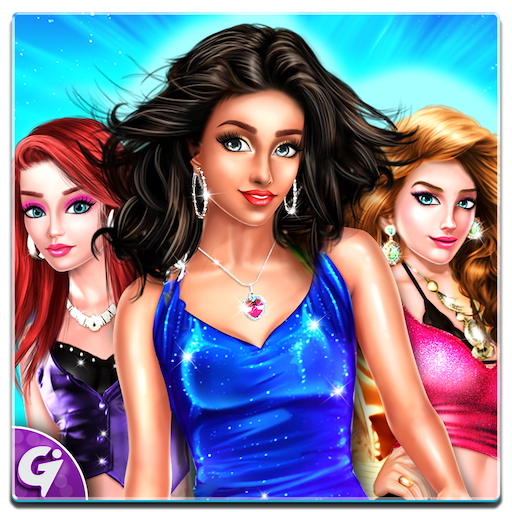 Challenging missions made more addictive this game, you have to become less victim of paint. Map are available to find the different locations also to watch the opponents. You can unlock different amazing epic paint ball guns by making more score. Shoot the enemy to make more score with different weapons and thrilling missions are waiting for the paintball shooting addictive lovers. • Play as paint ball shooter and shoot the enemy. • Choose your favorite paint ball shooter to combat. • Realistic environment and Shooting arena to play. • Paintballs shooting simulation with amazing smooth controls. • Challenging mission and fun gameplay. • Shoot the opponents that comes in your way. 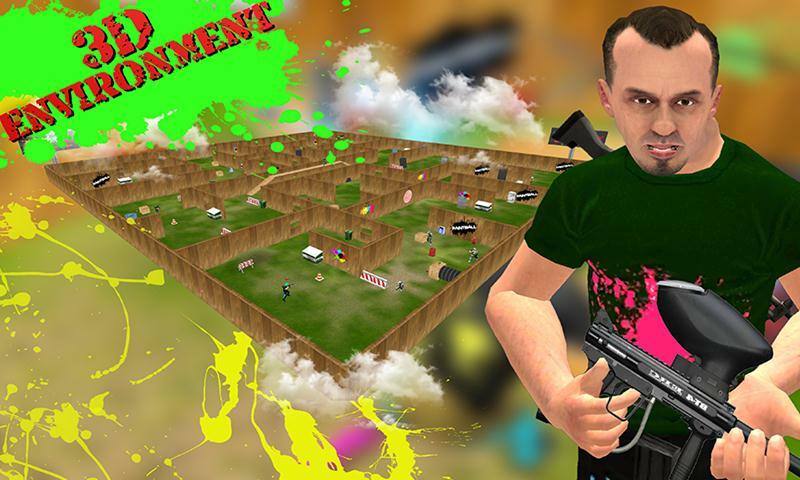 Enjoy the best Paintball Shooting Combat Arena simulation to play where you enjoy the shooting combat and improve your paint ball shooting techniques. Beware from your rival shooter and find them with your searching skills. Amazing paint shooting guns with different paint firing capabilities paint grenades and shooting arena is waiting for you. Go and blast the gaming world with your amazing gameplay. Be a best Paintball Shooter and win this paint ball battle field.